“Great progress” has been made in efforts to reunite children who were separated from their parents at the border during the Trump administration’s “zero tolerance” crackdown on illegal immigration, a federal judge in San Diego said Friday. Last month, Sabraw granted a preliminary injunction as part of a class- action lawsuit requiring the federal government to reunite families separated at the border. The judge set a July 10 deadline for children under age 5 to be reunited and July 26 for older children to be reunited with their families. 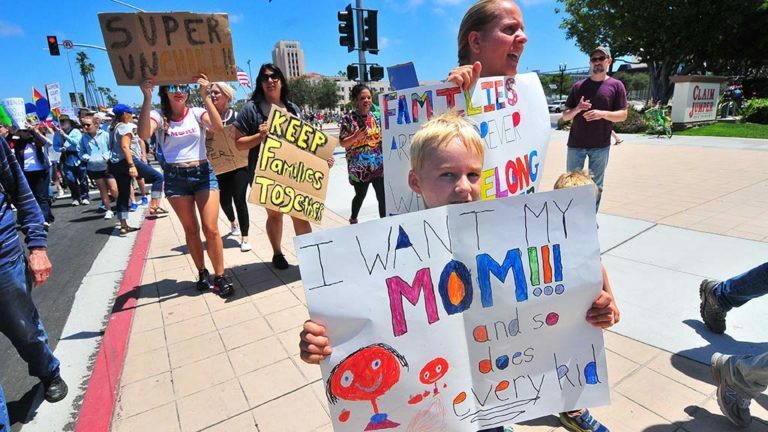 Attorneys for the Department of Justice told Sabraw that of the 2,551 older children separated from their parents, 1,606 might be ready for reunification soon. At least 954 of the children have been interviewed and are ready for reunification, and another 450 class members have already been reunited, government attorneys said. Government attorneys told the judge that 136 parents have waived reunification with their children. Attorneys for the American Civil Liberties Union said they wanted to know how many of those 136 parents have been removed from the United States. On Monday, Sabraw temporarily blocked the federal government from deporting parents who were forcibly separated from their children at the border. The judge will receive another update on the case Monday and has scheduled a hearing for Tuesday afternoon.